Just click, save and print! AB = Attack Bonus, FB = Feat Bonus. The square marked FEAT next to each ability score is for one’s total of ability modifier + feat bonus. The little squares for each power is for whether the power is permanent, limited or single-use. Here’s a version filled out for Captain Triumph! And if you haven’t downloaded the game and rolled up a hero yet – what are you waiting for? Get to it, man! I’m also looking into setting up a message board for MM!. I figure it can’t be too hard, but I’ve never looked into it before. We’ll see. In the meantime, I’m going to set up a specific Mystery Men! page on this blog, where I’ll throw in errata, a link to the downloads, etc. Looks great! I downloaded the beta but haven't found time to roll up a character but I'm really looking forward to it. Very cool. Like Johnathan, I haven't had a chance to check out the beta, but I'm looking forward to it. Honestly? The layout is clear and simple, but it's too much of an ink drain with all that heavy black. There are other ways to set apart header text so it stands out without using that heavy contrast white on black boxes style. (I blame WotC for this overly-black character sheet look that has been popular since 3rd edition D&D.) 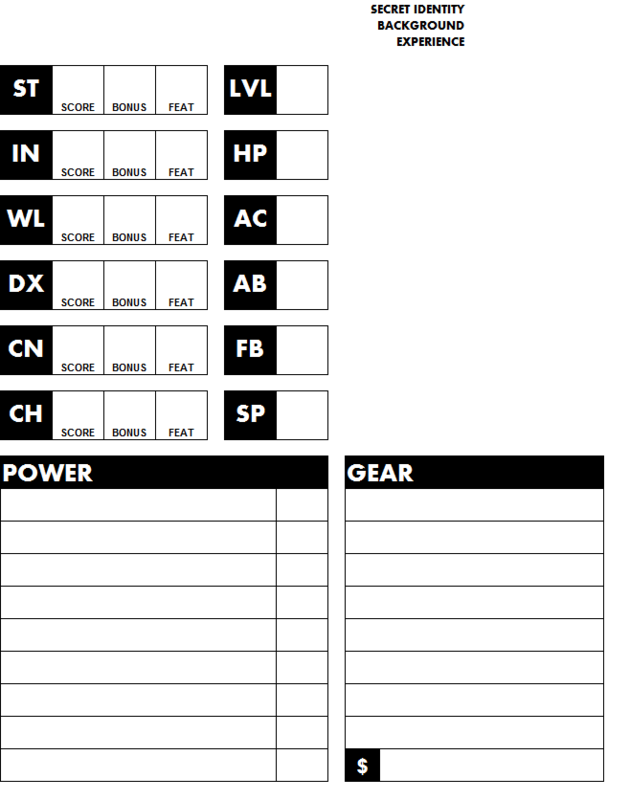 At least it's simple enough that you don't really need a character sheet pre-printed, just some lined paper. And this is useful as a template for that. I'm becoming more and more interested in your Mystery Men game. I may try to get a game going with my group. Love the Character sheet btw! Well, there is a bit of black – I'm sure I can work up a less ink intensive version. It is pretty simple, though, so a lined piece of paper should work fine. Bliss – glad to hear it. I'm sure it needs some work, and testing it in play is the only way to make it better. 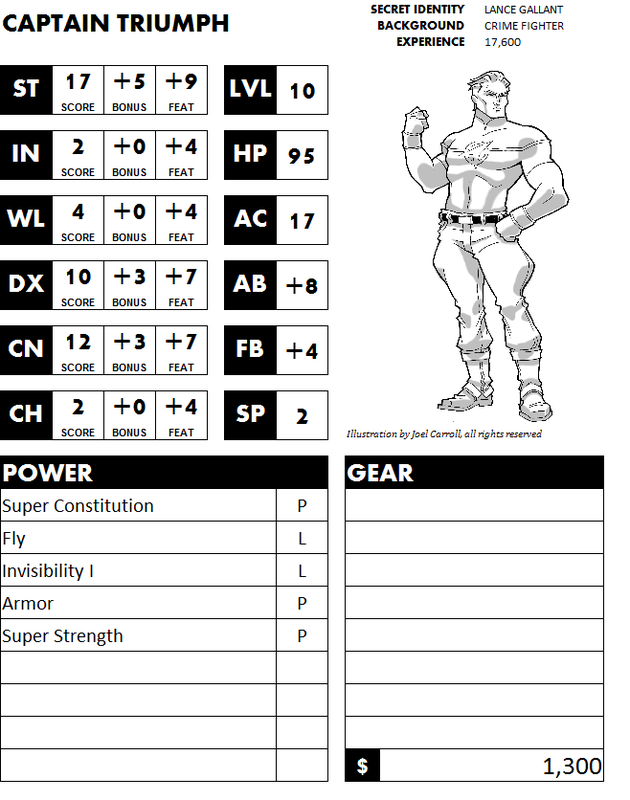 Character sheets is going to be one of my next projects too! I like the simple elegance of yours (but don't worry, I won't be stealing it! ).